There are two ways you would normally purchase a package. The first way would be to purchase the package at the time of having your first service in the package series. The second way would be to purchase the package without an appointment and use all the sessions at a later date. Selling a package at the time of making an appointment is just as easy and exactly the same as you would book a normal appointment. 1. 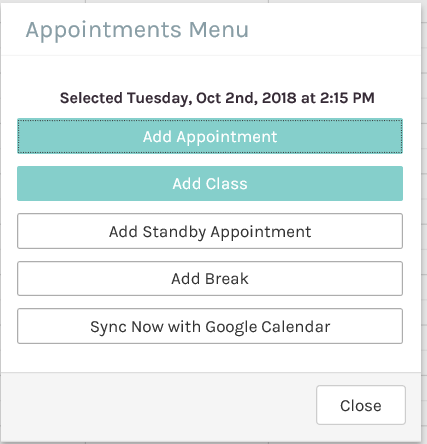 Navigate to the appointments screen, by clicking on the Appointments option in the side menu. 3. Enter the appointment details, including; Client name, date and time of the appointment as you normally would. 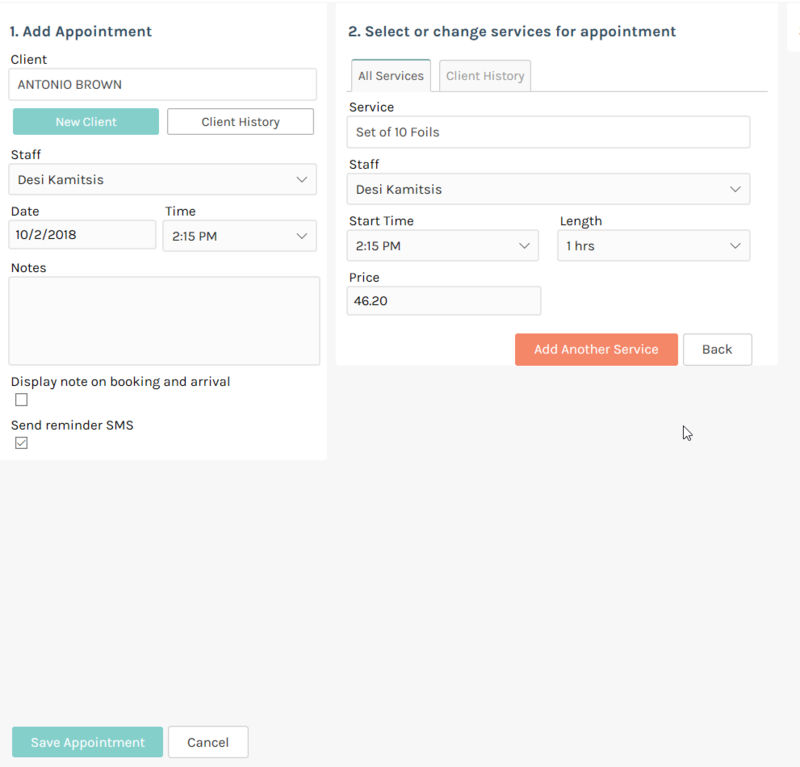 Then the important part, make sure you select the Package you are selling in the section Select Services for Appointment. 5. You will now have an appointment for the first in the package series. When the appointment is complete you should send it to sale as you would for a normal appointment to pay for the package. See this article for instructions on performing a sale. The may be a case where you wish to purchase a package for future use and not have an appointment straight away. To do this is very easy. 1. 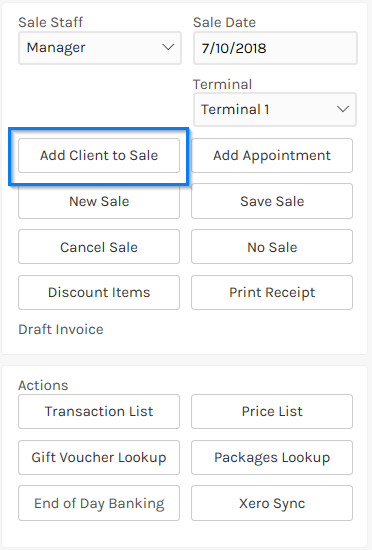 Navigate to the sales screen, by clicking on the Sales option in the menu. 2. When selling a package you will need to make sure you have a client attached to the sale. This will ensure when they wish to use the package in future it can be traced back to their purchase. To do this click the Add Client To Sale option in the Actions on the Sales screen. Search for an existing client to attach them or add a new client. 3. Now click the Add Service option to add the package to a sale. When the Add Service option section appears, select the package you are wishing to sell. Make sure the New Package Sale option is ticked. This means the package is for future use and the client is not using it now. Now click the Add button to add the package to the sale. You can also change the size of the package at this time if you wish. 4. The package is now added to the sale and you can click the Complete Sale button to check out and pay for the sale. The client now will have the number sessions available for redeeming at a future date. You can view the number of packages a client has in their balance at any time on the client details screen.